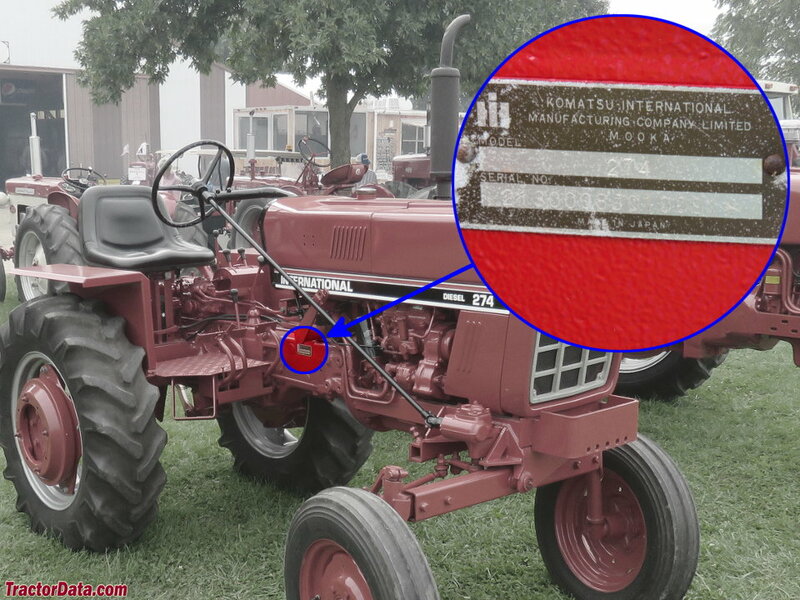 The IH 274 Offset was a 284 modified by the KIMCO corporation (Komatsu) of Japan. Location: Serial number plate on the right side of the International 274, ahead of the brake pedals. Cab: Two-post ROPS. Optional canopy.